William (Bill) F. Walsh, of Washington DC, was called home by his Heavenly Father on October 20, 2018, at his Tenleytown residence. 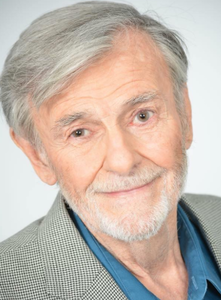 The Brooklyn, New York native and longtime Long Island resident was 82. He was the beloved husband of 57 years of Janet A. Walsh, loving father of Mary-Margaret Byrd (Christopher), Bill, and Carolyn Walsh (fiancé Gino Castellano), cherished grandfather of Meaghan Weber, Liam and Jack Walsh, and devoted brother of Patricia Clemencich. His sisters, Mary Lafferty and Regina Gordon pre-deceased him. The son of Newfoundland immigrants, Mary Hunt Walsh and Denis Walsh, Bill was born July 18, 1936 in Brooklyn’s Park Slope neighborhood. As a teenager, Bill worked in movie theaters and sold ice cream in Prospect Park. When he walked into Park Slope Lewnies Ice Cream Parlor, Bill’s life felicitously turned toward the good life he wanted when he encountered fair-haired and pretty 16-year-old Janet Abrahamson,. “I’m going to marry that guy,” Janet said to herself that day. Her words proved prescient. Six years later, on September 2nd 1961, Bill and Janet wed at Holy Name Church in Brooklyn. Working construction during the day, Bill went to the Pratt Institute in Brooklyn at night before obtaining his Associate of Applied Science Degree. With this degree, Bill established himself in the construction industry before forming his own company in 1976. He grew his fledgling company into a multi-million dollar enterprise. A remarkably generous man, Bill gave of his money and time, without reservation. If someone in his neighborhood needed a job or someone in his family was going through a rough time, they could rely upon Bill to provide for them and see them through to better times. The family put down roots in the Bellerose Village of Long Island (his first child Mary-Margaret was born in 1962, his son Bill was born in 1966 and his youngest Carolyn was born in 1970). Community-minded, Bill served his well. For thirty years, Bill was a volunteer fireman with the Bellerose Battalion, becoming an exempt member in 1976, and serving until his November 2000 resignation. From years 1987-1990, he served as Fire Commissioner, and ultimately held the role of Battalion Chairman for Nassau County. In that capacity Bill helped coordinate rescue efforts in the aftermath of the Avianca Flight 011 crash in 1983. Later in life, despite declining physical health, Bill found new joy working as a commercial actor. He most notably appeared in a national ESPN commercial in 2015, and in 2017, he appeared alongside his actress daughter Mary-Margaret in a promotional video employed in an annual fundraising campaign for Washington area nonprofit Iona Senior Services. Grateful for the services Iona provided him, Bill, true to his charitable nature, was all too happy to return their favors. Other survivors mourning the loss but celebrating the memory of this joyful, kind, and resilient man include: sisters in-law Arlene L. Cardinal and Mary J. Ognibene and numerous nieces and nephews, great-nieces and nephews. Mass of Christian Burial will be said on Saturday, December 15th at 9:30 AM St. Peter of Alcantara R.C. Church, 1327 Port Washington Blvd, Port Washington, NY 11050. Interment immediately following at Holy Sepulchre Cemetery, Coram, NY. To celebrate Bill’s life, the family invites donations be made in his honor to Iona Senior Services, 4125 Albemarle St. NW, Washington, DC 20016 or online at www.iona.org/donate-now.